The Department of Communication and Media, which includes state-of-the-art video editing labs and suites, an interviewing lab/classroom and a large theatre-classroom, is housed in the Communication Building. We have modern classrooms, an informative and entertaining in-building television network and a spacious and comfortable student lounge. The department has two primary computer-labs/classrooms with 27” iMac computers and industry standard software. 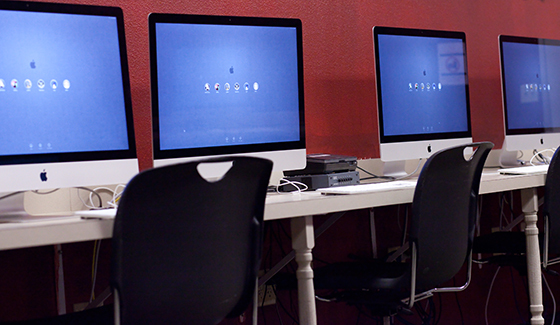 The labs are equipped with the Adobe Creative Suite programs, including Premiere Pro, After Effects and InDesign. In addition, our labs and five video editing suites support additional video editing software programs including Final Cut Pro and AVID. 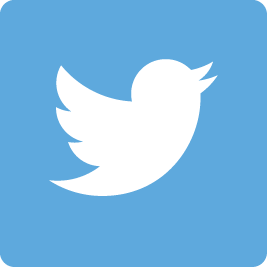 The Department of Communication and Media offers a variety of digital tools for short term checkout. 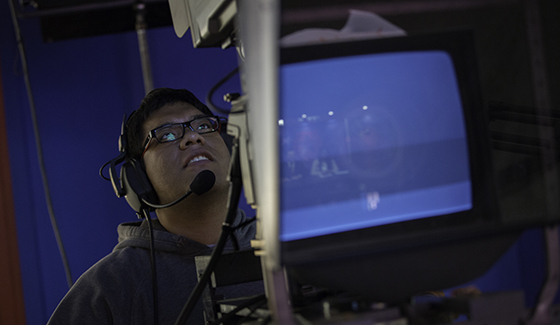 All Department of Communication and Media students, staff and faculty can borrow these tools to use in the production of their film, journalism, advertising or public relations projects. We have industry standard quality equipment with brands like Arri lights, Black Magic and Sony cameras, Zeiss lenses and Sennheiser audio equipment. The equipment checkout is in Room 116 of the Communication Building. Housed in Room 127 is the department’s Multimedia Lab and Teaching Space. 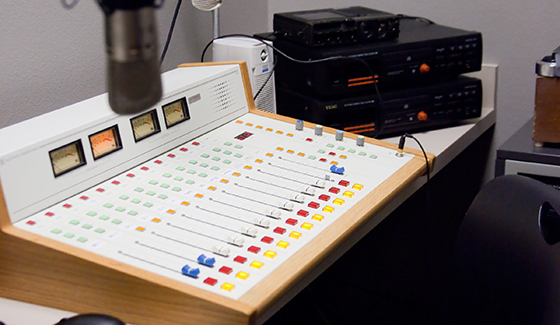 Five rooms have state-of-the-art equipment for digital editing, recording and blogging, where students practice the art of digital editing for broadcast and film, mixing for audio, practice digital audio editing techniques, and create talk and music programs. Some of this material is run on LUTV Channel 7 and Lamar’s National Public Radio station, KVLU 91.3. COMM 103 is the department’s theatre classroom. Although many of our classes are designed to have small class sizes (with 12-15 students), our theatre classroom is designed to accommodate larger classes. Even so, it was designed in such a way that students feel that they are actively involved in the learning process. State-of-the-art audio/visual technology enhances student learning in this space. 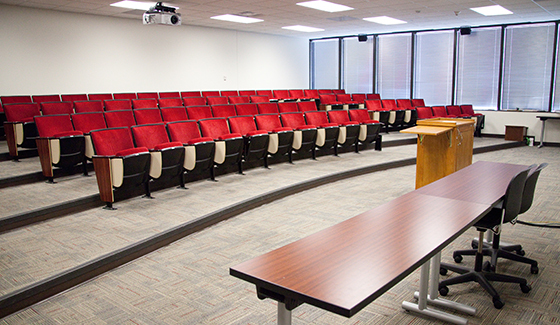 The theatre is also ideal for student movie premiers, movie nights, and special guest lectures. 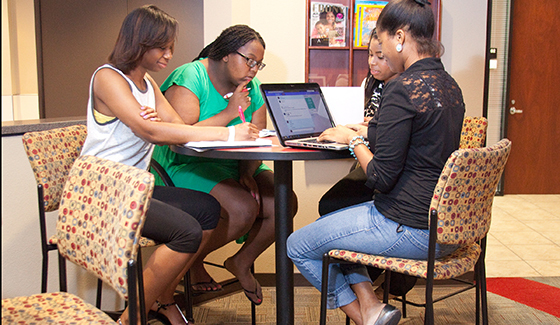 The Department of Communication and Media's student lounge is the most comfortable student study (and relaxation) lounge at Lamar. The comfortable and quite atmosphere is ideal for both studying and visiting with friends and classmates. Because of its looks and versatility, the lounge is also an ideal shooting location for the making of student films.